I’m not going to lie to you and say that I’m a super independent woman who loves travelling alone, because, honestly, I’m not. The most independent thing I accomplished this year (besides moving 467 miles away from home for a university I hadn’t even visited) was going to work every other weekend, and even then I had a work bestie who I could chill with at the tills. To put it simply, independence doesn’t come naturally to me. It never has and it probably never will. After all, why go shopping alone when you could go with a friend and actually have fun? I accepted the offer for this university thinking that my best friend would be coming with me, but unfortunately, she backed out and went somewhere else (see definition of traitor). There are some moments when a spirit of independence comes through and I end up doing something completely out of character and then regretting it as soon as it begins. Recently, I spent six anxious hours on a train, only to book train tickets home for the next day (I decided that I was already in debt so I might as well get something out of it!). And on Sunday, I decided it was a great idea to go on a trip to Loch Ness even although none of my friends could join me. I didn’t know I was taking the scenic route there, which is twice as long, so I ended up regretting every choice that led up to that motion sickness-filled coach ride (at least I got some nice selfies at Ballachulish!). But now that I’m out of the regretting life stage, now that I’m a month into University and I’ve experienced the creepy atmosphere of Urquhart Castle, I can honestly say that it was worth it. Just because I greatly prefer doing things with friends doesn’t mean that I’m just going to let opportunities pass by, no matter how nervous I get sitting on a bus filled with strangers who all seem to be best friends with each other. 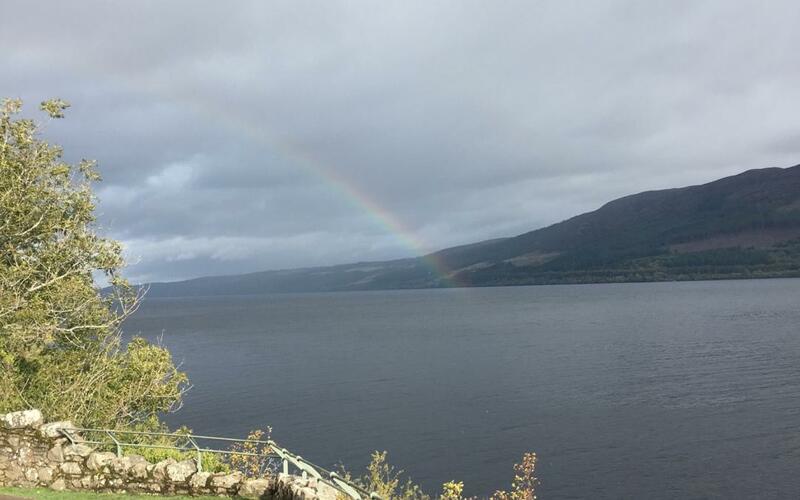 As cliché as it sounds, it’s all about the experience, and well after growing up with a mythical creature-obsessed mum, there was no way I was going to miss out on experiencing Nessie’s home. So, if your naturally an independent person, consider yourself lucky, but if your more like me then its okay. Drag your friends to the Overgate whenever you have a Starbucks craving, but don’t let opportunities pass you by. What an inspired first piece! It must have taken courage to move somewhere far away, when you have no experience of it. But you are making a success of it by the sounds of it. I shall follow along your journey with you. Try everything, say yes to new things more than you say no. Keep your mind open and your head down when it’s time to work. The next few years it’s Dundee – but after that, who knows? The world beckons!